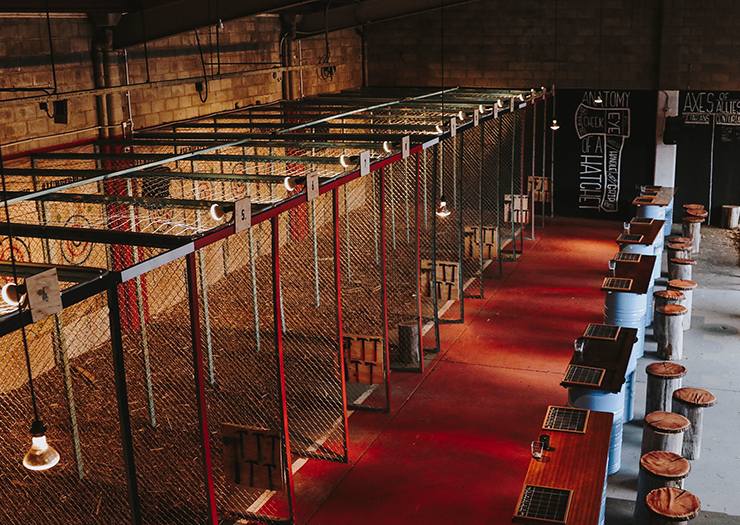 Off the back of the recent openings of two dedicated axe-chucking joints, Lumberpunks in West End and Maniax in Newstead, I’m starting to think axe-throwing might just be Brisbane’s answer to mindfulness. The satisfaction of landing your first axe in a target is one of life’s most primal joys. It’s also not bad for blowing off steam. Aggression has no business being pent-up, and while some people opt to work off stress with high intensity workouts, maybe some yoga, or self-destructive behaviour, we reckon it’s way more effective to throw axes at the problem. That way you get the physical release of the act of axe-throwing, plus the thrill of wielding an actual weapon*, and, if you’re good at it, gloating rights for hitting the bullseye. The concept is simple and that’s why it’s ingenious. Now, I know it seems like axe-throwing might be geared towards people with significant upper body strength but this is FALSE—chopper chucking is for everybody. It's coordination that is key. Brisbane has newly been gifted with two places to make like extras on Game of Thrones: Maniax and Lumber Punks, both offering the wild rush that comes with playing the 18+ version of darts. At Maniax, their motto implores us to quite literally bury the hatchet. Already established down south in Sydney and Melbourne, the Brisbane branch of cleaver culture caters to corporate events, group sessions, solo sessions and walk-ins. 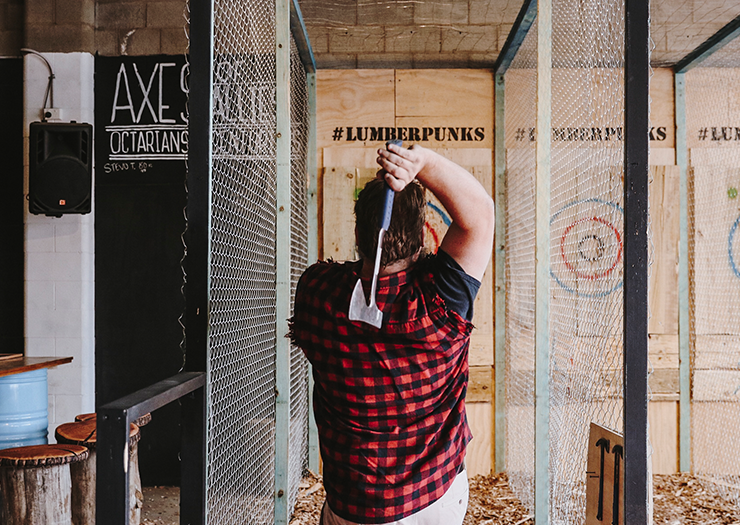 Then under the crossed mattocks over at Lumber Punks, you can get hone your skills and join the axe throwing league when you’re ready to take your commitment to the next level. Critically, given that December is near, both Lumberpunks and Maniax offer gift certificates for that special Viking in your life. If you feel like you’re approaching this trend from behind the eight ball, immerse in the axe-throwing culture by eating a tomahawk steak and investing in some red flannel before rolling up on the back of a wild horse and trying your hand at it.